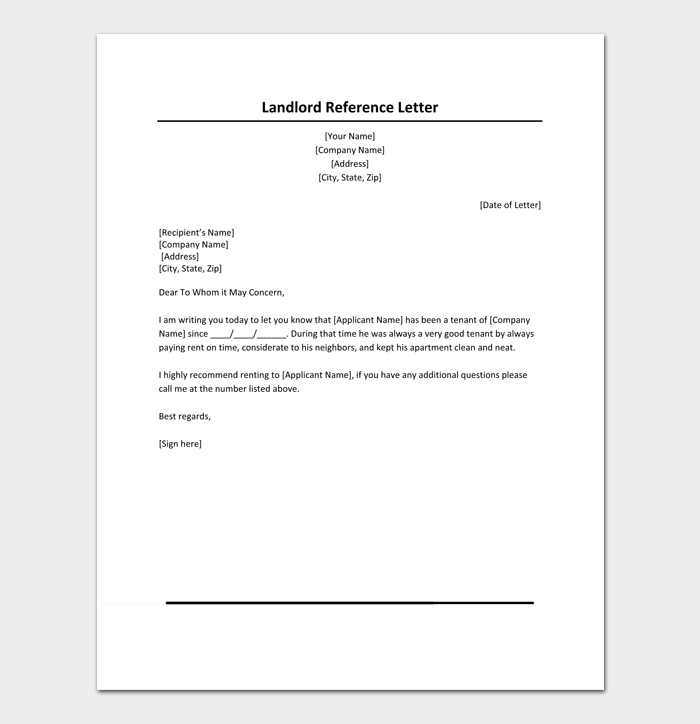 Landlords appreciate thorough and honest references about new tenants. As a prospective tenant, your new landlord may need a second opinion about your character before handing the keys over to you. 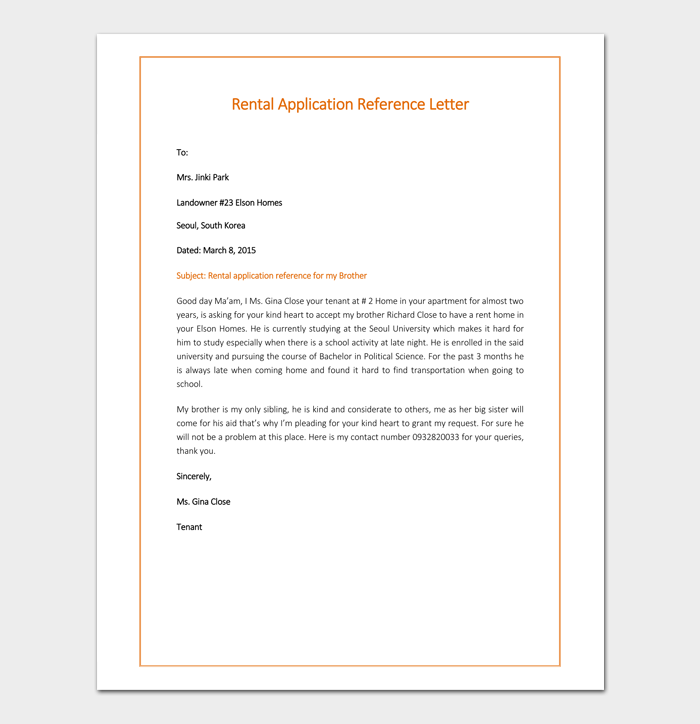 A simple rental reference letter can make things quite simple and easy in this regard. 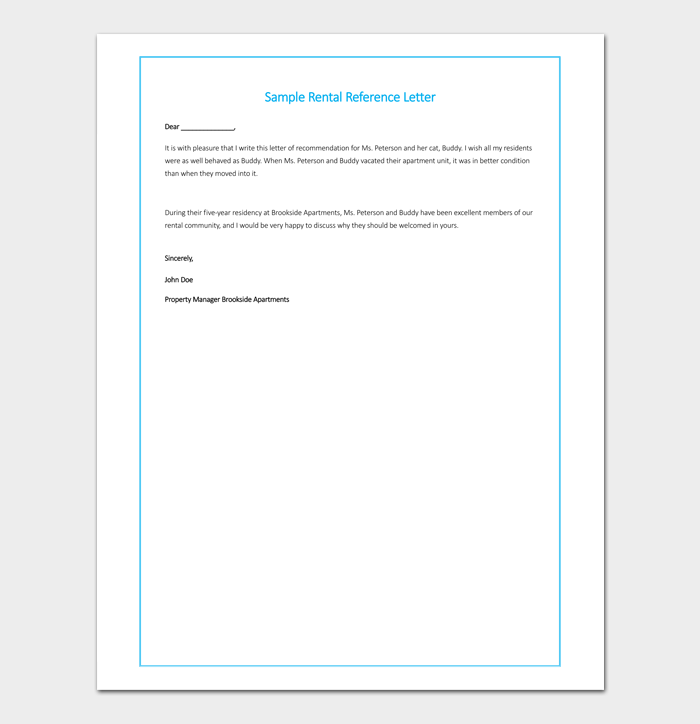 Here are some sample letters to help you. 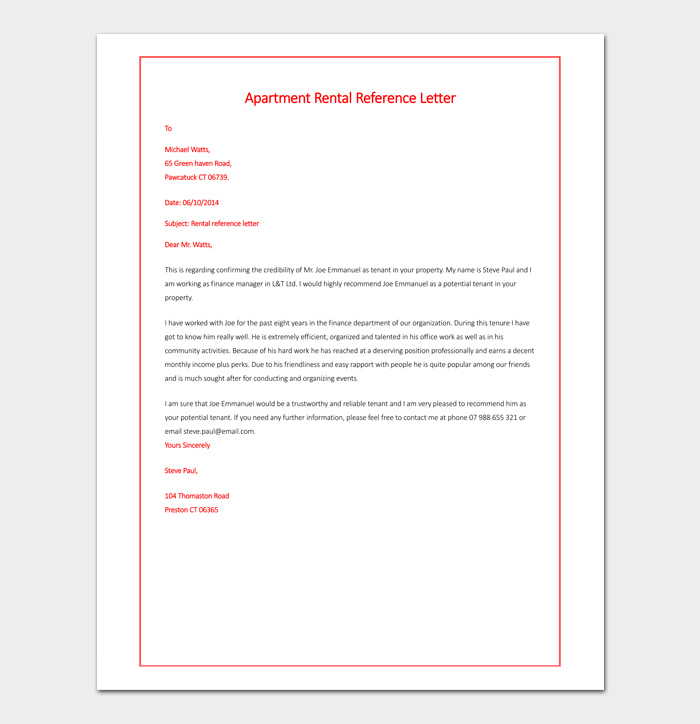 How Can I Ask My Landlord for a Reference? 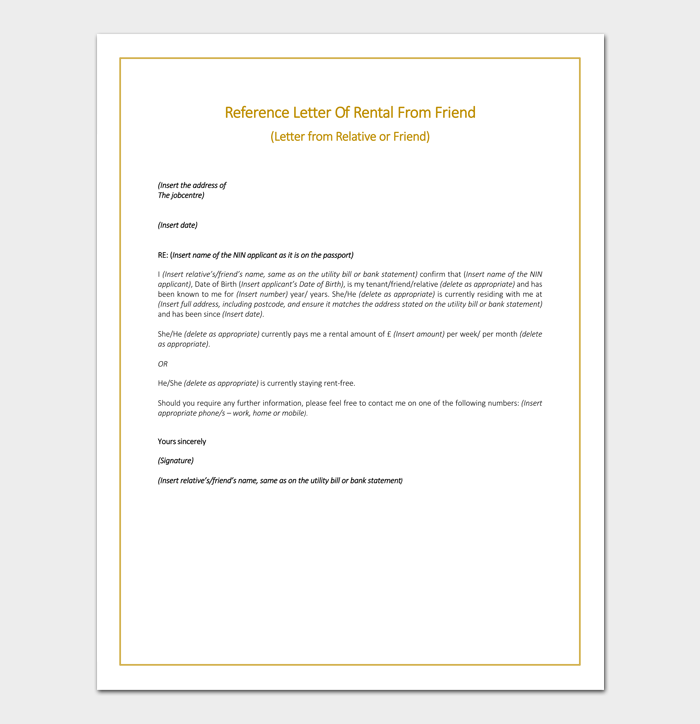 Like other rental reference, this is written by a landlord to another landlord containing information about a tenant. 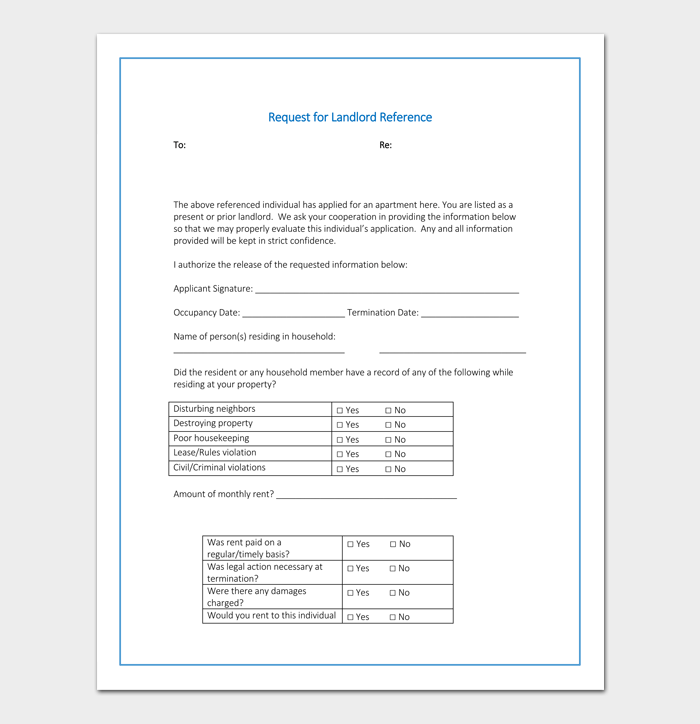 This is used when a tenant wants to rent a new place or commercial property. It’s also used in the place of work when the tenant is job searching. Again, it can be used by creditors to a grant a positively recommended tenant a loan. 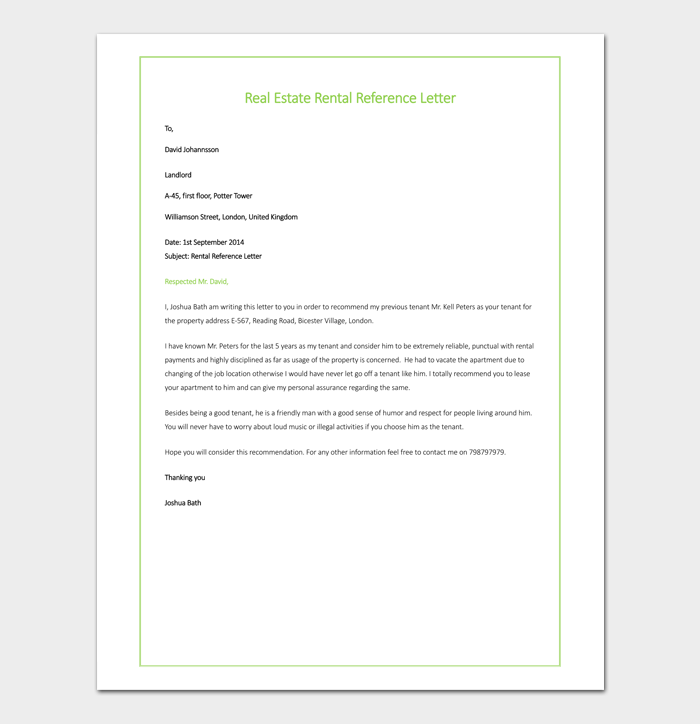 It should contain the tenant’s and his/her family names, address, character information, and other details of a normal reference letter. 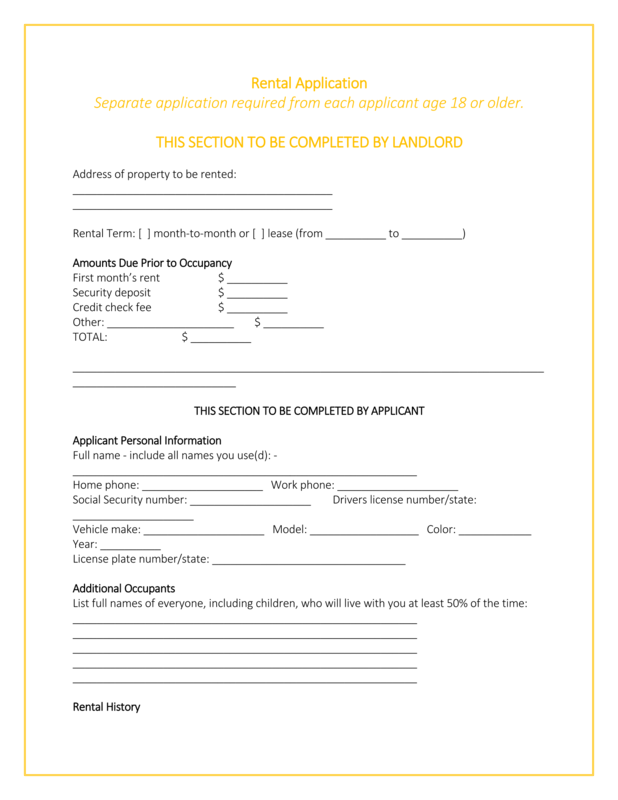 This is just another form of 3rd-party verification usually used by landlords as part of the application process. 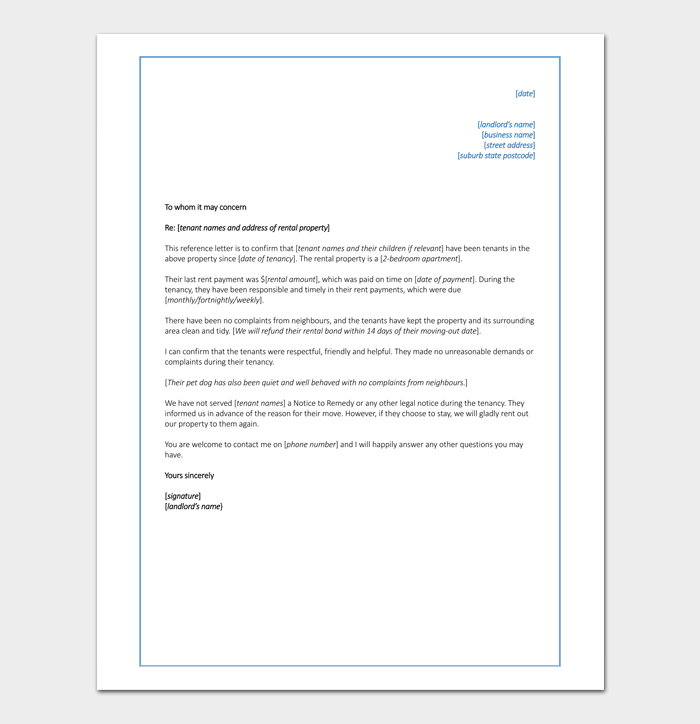 It’s signed by a legal representative of the prospective tenant’s employer. It should state that the tenant is employed there and contain basic information about the job title, salary, and employment arrangement. 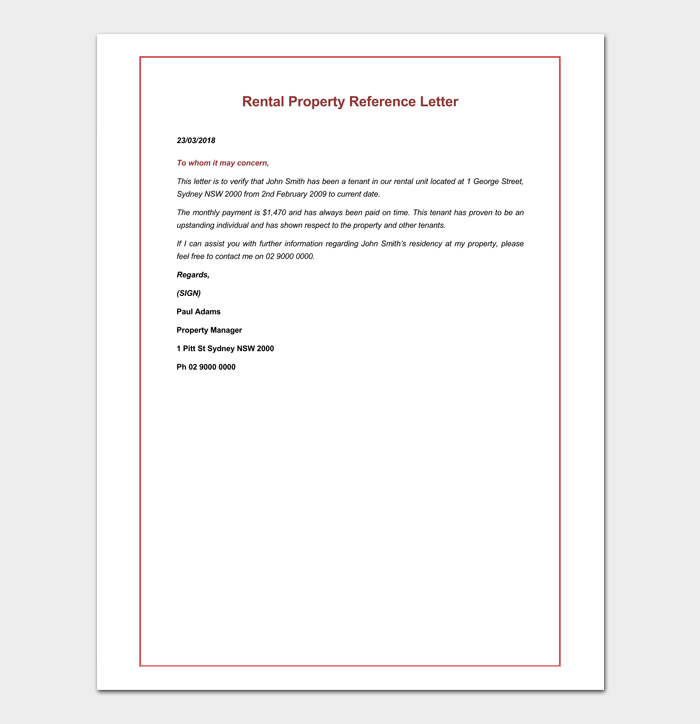 Landlords request this to detect fraudulent tenants who lie about employment history to conceal their true identities. This is simply a kind of reference written by a close friend to vouch for a prospective tenant’s agreeable qualities. 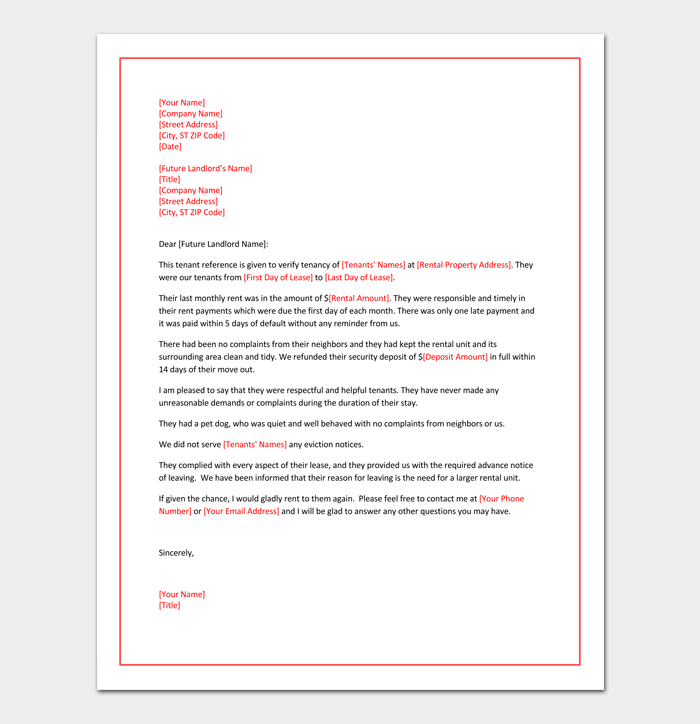 This informal reference letter just like others should include an opening salutation, details about the kind of friendship nurtured by the pair, the good qualities of your friend, a reiteration of these qualities, and likely a suggestion for a phone interview. Landlords appreciate honest opinions about new tenants. 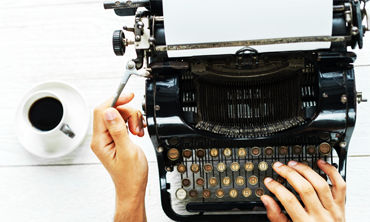 If you’ve a good history with the landlord with regular payments and no complaints, getting a positive reference shouldn’t be a problem. A simple request would do that. If otherwise, don’t wait for the final day of leaving before fixing pending issues. Try and make timely amends and keep communication lines open. 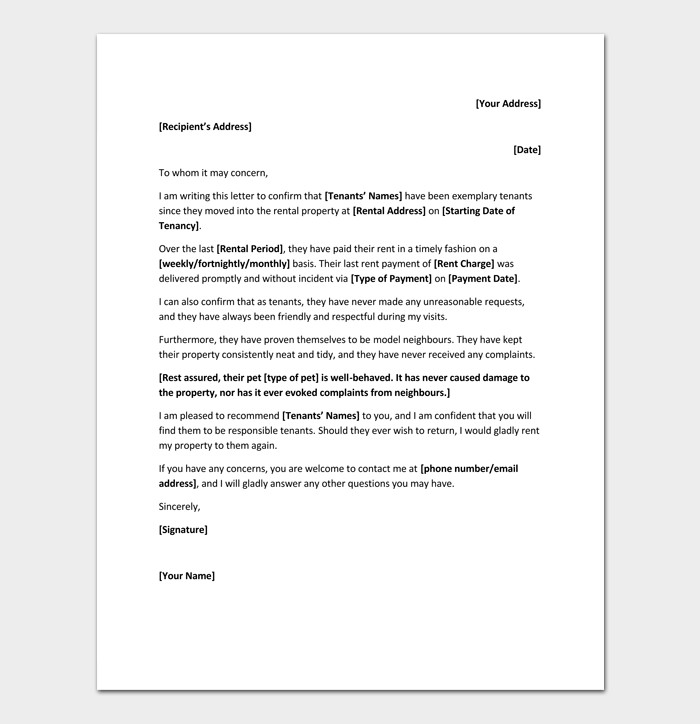 With this, you may have a chance of obtaining a reference on request though the best thing is to avoid such situations altogether. 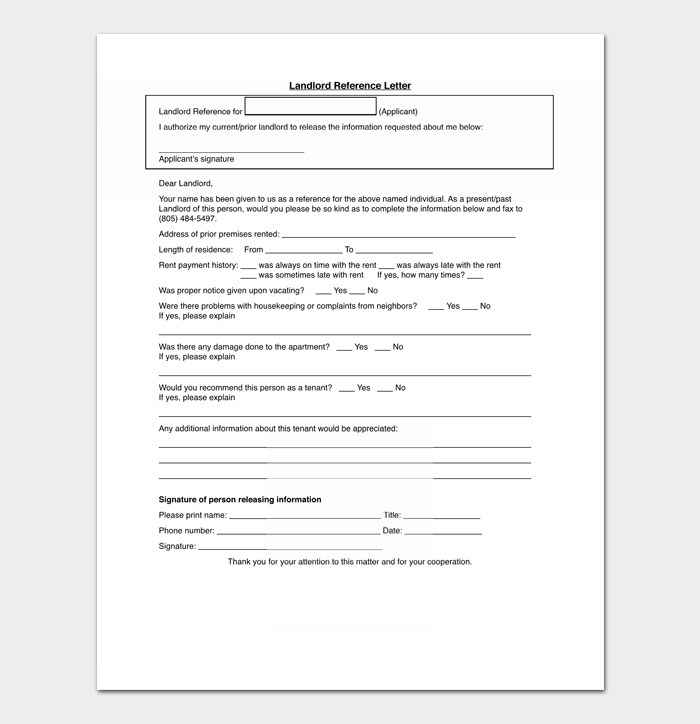 You could also list that landlord as a contact on the next rental application. Then, the new landlord can directly call and ask for reference.